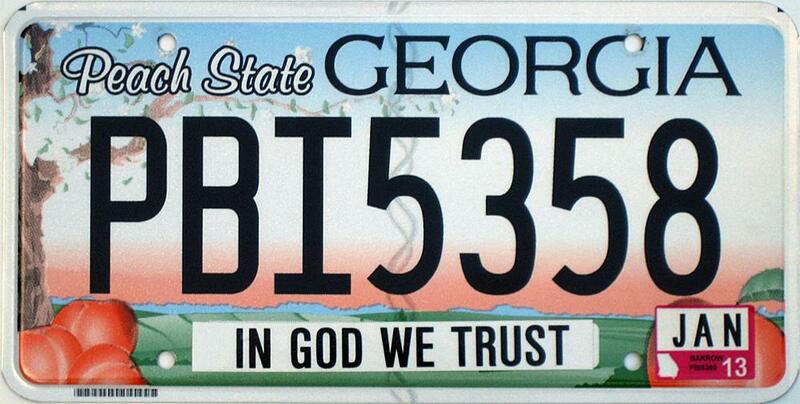 The State Plates Project wants to bring class back to your tags. Today’s license plates seem like they’re in a contest to cram as much gross design and dumb patriotism onto a 6-inch-by-12-inch metal plate as possible. But the license plates of yore? They had class. Atlanta-based designer Jonathan Lawrence wants to bring it back with the State Plates Project, a collaboration with 50 different artists to redesign each state’s license plate with an eye toward the restraint and sophistication of yesteryear. “Old license plates have so much character and attention to detail,” Lawrence tells Co.Design. “Our old metal plates combined good design and functionality, and somewhere over the last 50 years, that good design part got lost. Today’s plates don’t have half the character the old ones do.” In fact, Lawrence says the States Plate Project was inspired by Georgia’s hideous license plate, which charitably looks like the design you might find on a thriftshop T-shirt. Today’s license plates are all riot, and no restraint. For the State Plates Project, Lawrence approached designers from every state, and challenged them to redesign their automobile tags according to classier design principles. “It was important to me that the designer was passionate about the state they were working on,” he says. Not every license plate design seems like one its respective state would be likely to embrace—for example, a Texas plate that proclaims the state to be America’s “#1 in Executions.” But some of the results are just gorgeous. The new design for Minnesota’s license plate, for example, is a bold, stunningly colorful design that channels the design language of Paul Bunyan with a subtle checkered background and the center emblem of a wood-chopping axe. And the New Jersey license plate gives new meaning to its reputation as the Garden State with colorful registration stickers shaped like fruit.